CBSE affiliated schools can now register their Class 9th and 11th student details for the academic session 2018-19 at cbse.nic.in online. Know more. CBSE online registration process for Class 9th and 11th students begins. CBSE affiliated schools can register the candidates for the academic session of 2018-19 online. School authorities can carry out this registration on the official website of the board at cbse.nic.in online. Central Board of Secondary Education opens this online registration process every year for schools to submit the details of their wards. Check out the details about the CBSE online registration process 2018-19 for Class 9th and 11th students here. Before carrying out registration of Class 9 and 11 students with CBSE, schools themselves need to get registered first. 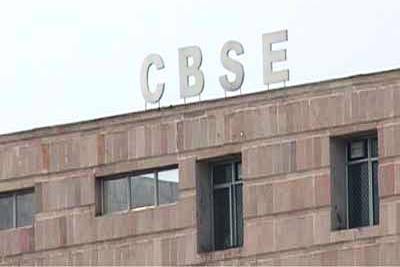 Schools are to use the affiliation number of themselves with the CBSE as the user ID before registering the candidates online. Each school is provided with a unique ID by Central Board of Secondary Education (CBSE) as their affiliation number and a password. For new affiliates, CBSE provides a password which can be changed by the school authorities. School authorities can use this log in ID and password to carry out the CBSE Online Registration Process For Class 9th and 11th students for this year. Like a yearly norm, CBSE online registration process for the academic session of 2018-19 has begun. CBSE requires registration of the students of Class 9th and 11th every year. The database of these students studying in CBSE affiliated schools will be shared by the school authorities to the Central Board of Secondary Education themselves. This will be done via online mode. As per the ruling of the Supreme Court, Aadhar card is not a mandatory document to carry out CBSE Online Registration Process For Class 9th and 11th. A student can provide any valid Government verified Identity proof to ensure his/her registration with the board online. Ration card, bank account number, passport number etc. can also be used instead to complete the online registration process. For more details regarding the CBSE Online Registration Process For Class 9th and 11th students for the academic year of 2018-19, visit official website of Central Board of Secondary Education at cbse.nic.in online.